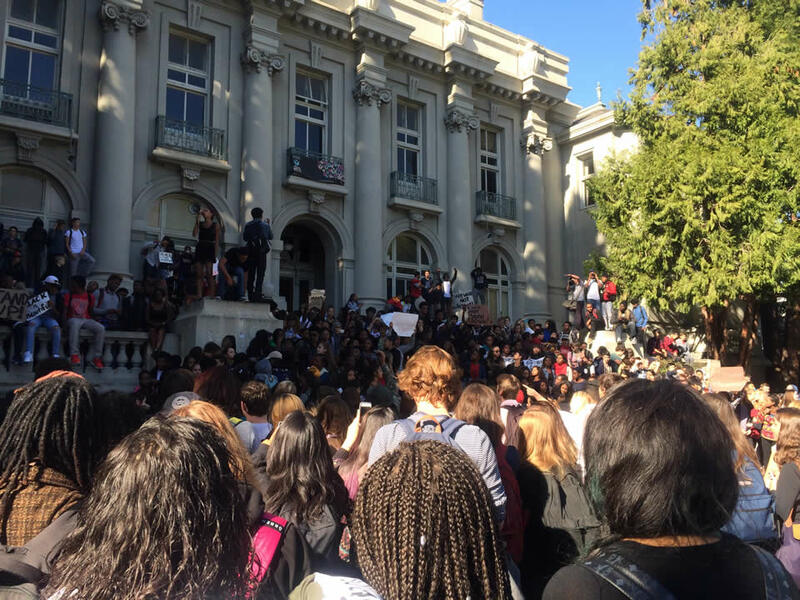 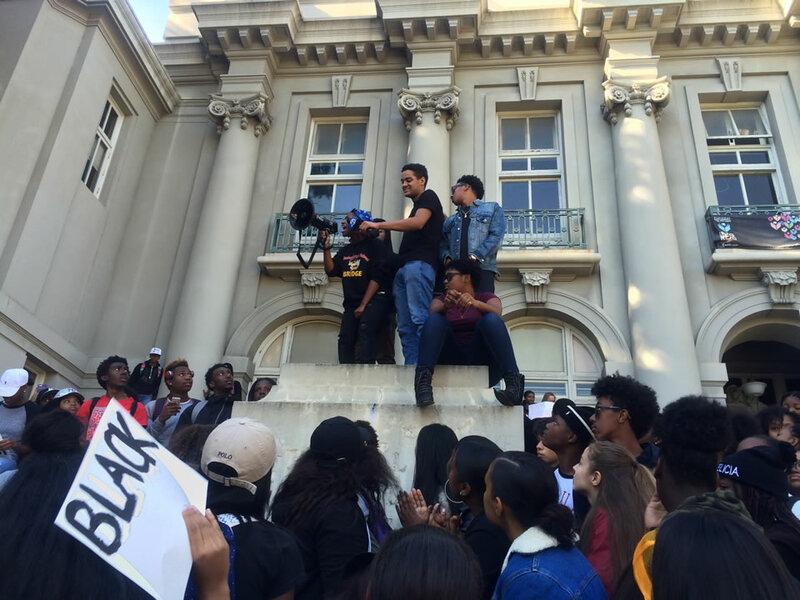 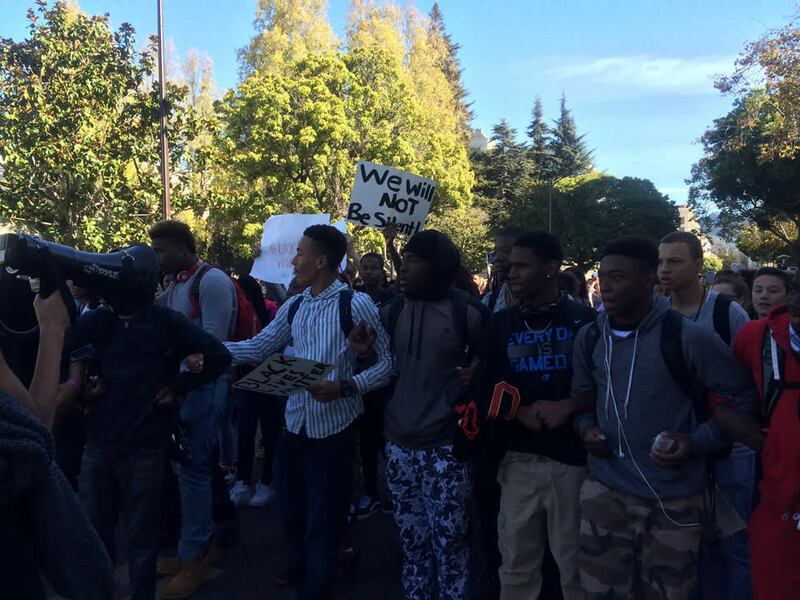 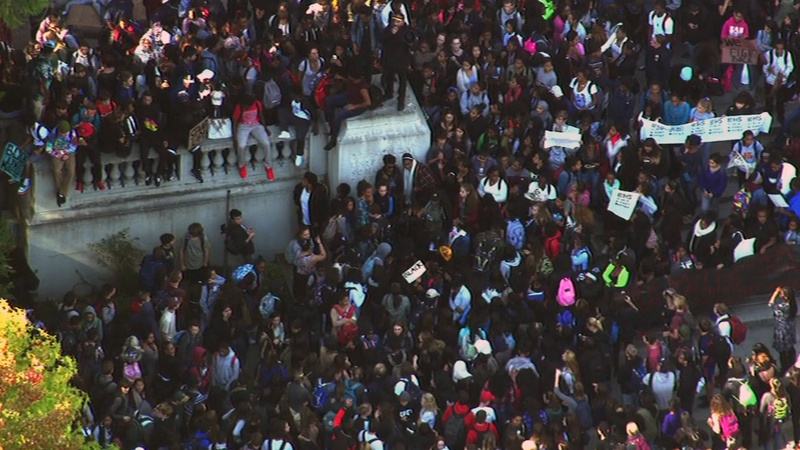 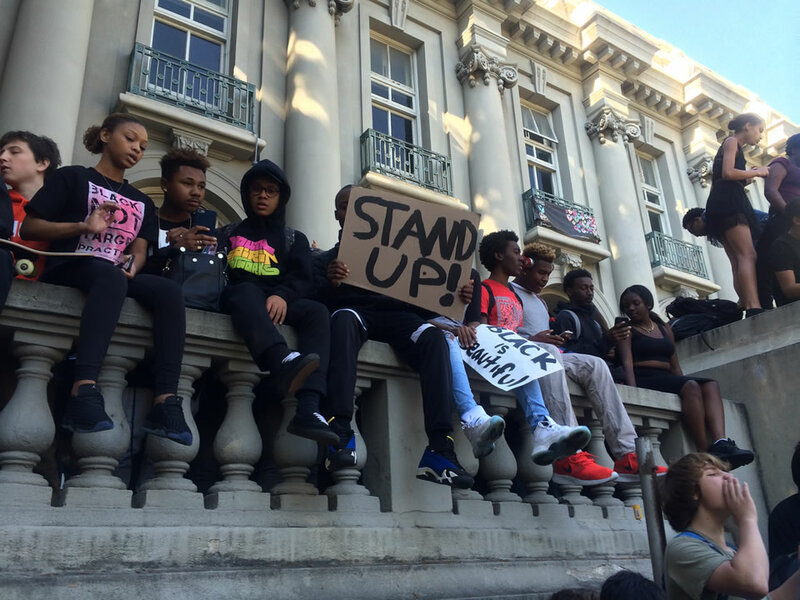 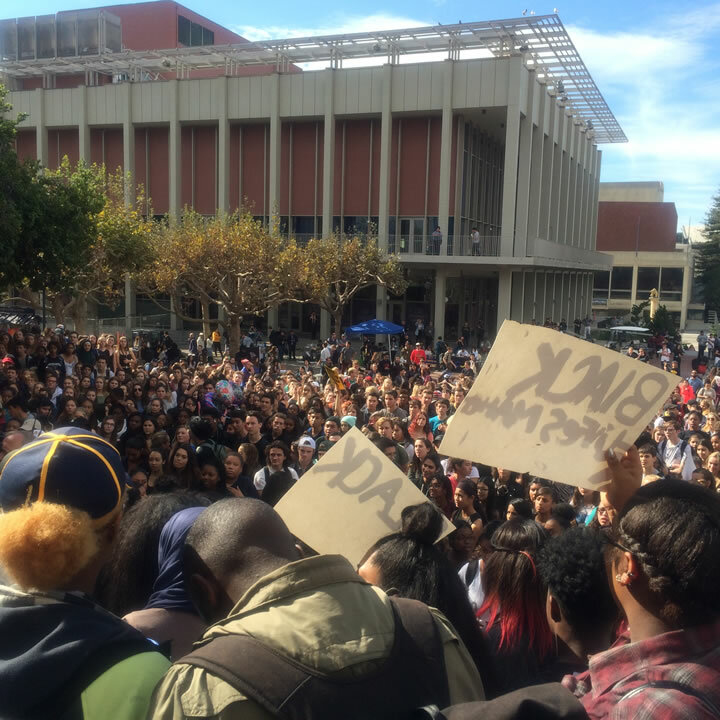 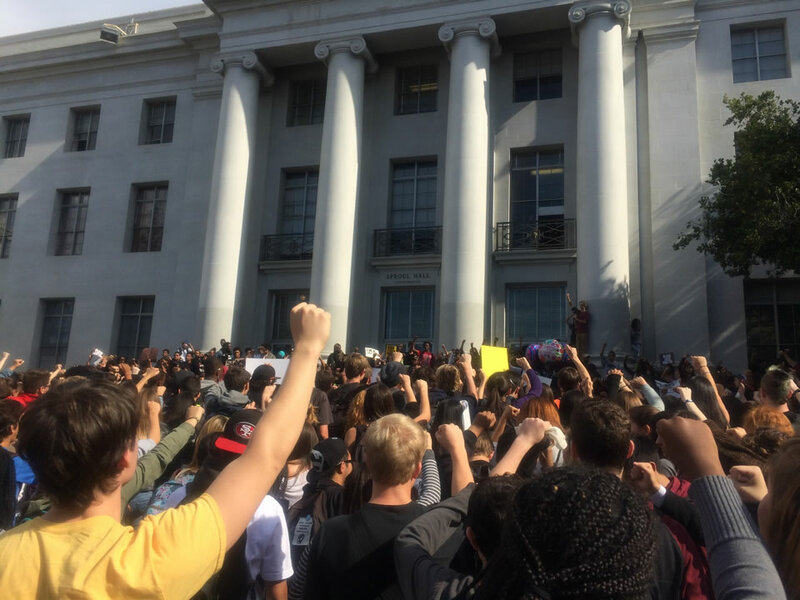 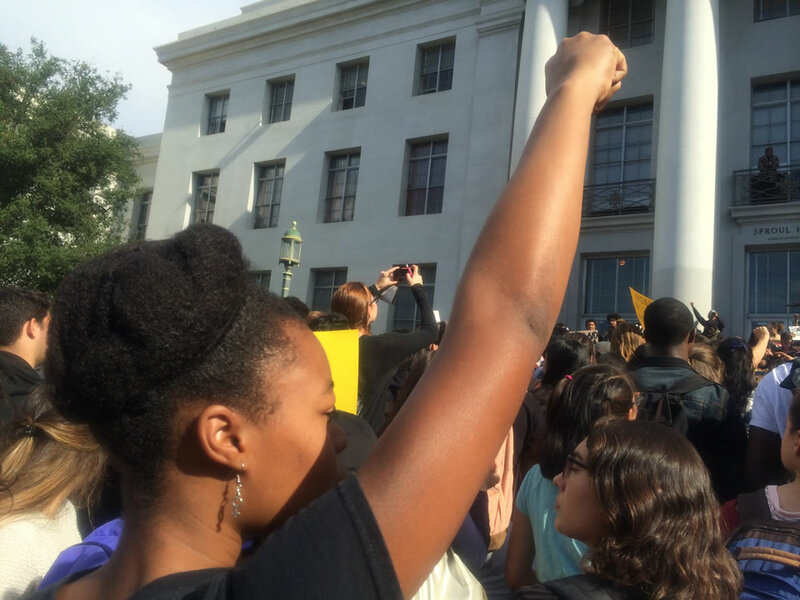 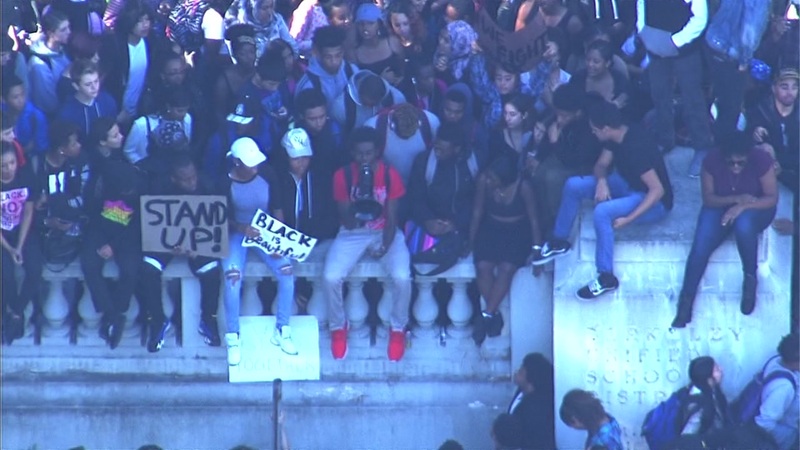 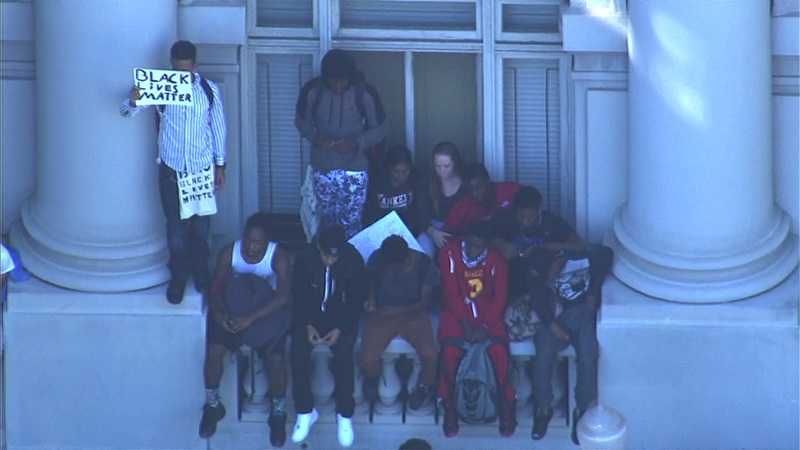 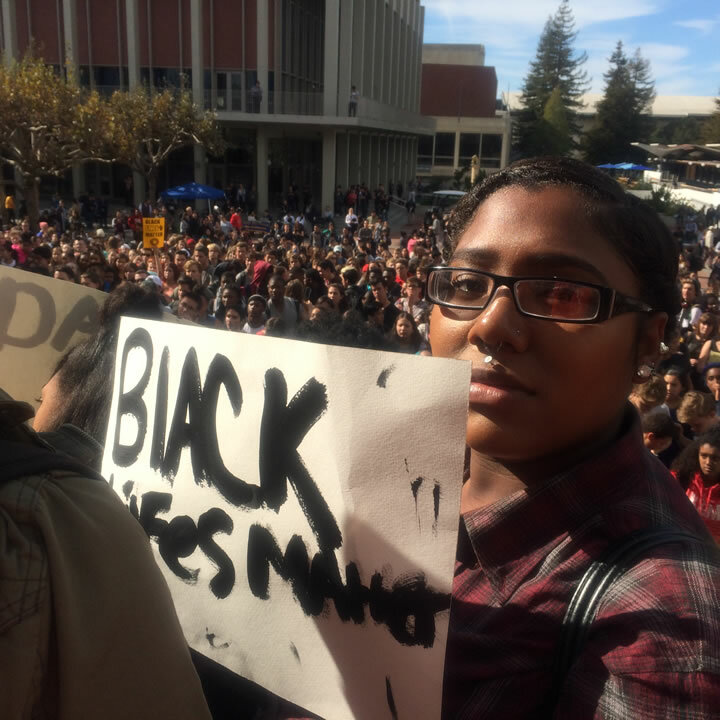 On Thursday, November 5, 2015, Berkeley High School students walked out and protested after a racist message was left on a library computer in Berkeley, Calif.
BERKELEY, Calif. (KGO) -- A mass demonstration took place Thursday after a racist threat was discovered at a Berkeley High School library computer. 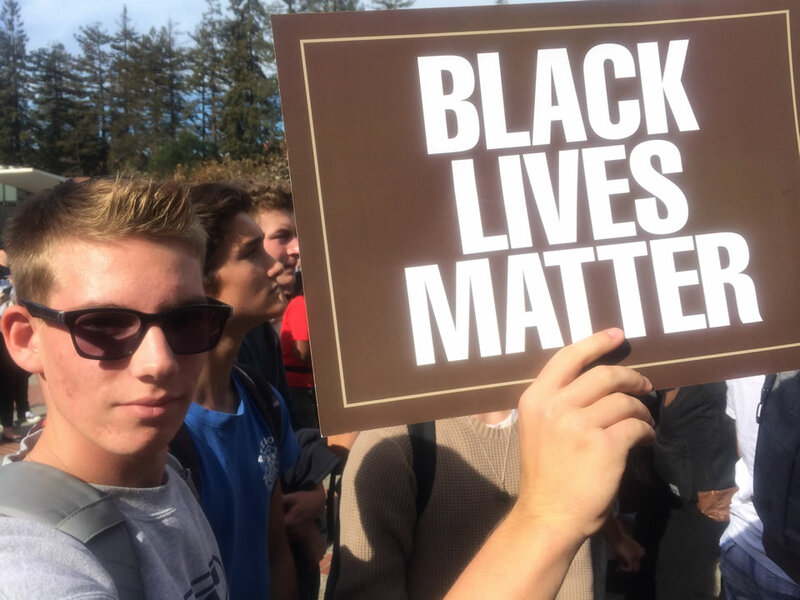 Later in the day, the principal announced that a student confessed to leaving the hate-filled message. 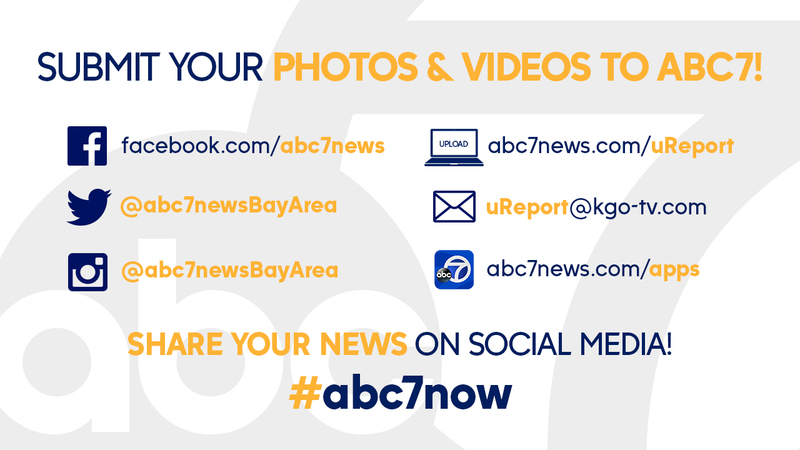 If you're at the protest, share your your photos and videos on Twitter, Instagram, or Facebook by tagging them #abc7now.